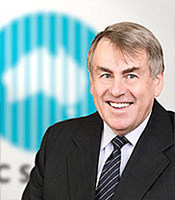 Ron Sandland who joined CSIRO Division of Mathematics and Statistics in 1969, was appointed Deputy Chief Executive of CSIRO in 1999. He was elected fellow of the Australian Academy of Technological Sciences and Engineering and was awarded in 2006 the CSIRO Medal for Lifetime Achievement. A more detailed biography is in preparation. Ron Sandland FTSE, ex-Deputy Chief Executive of CSIRO.